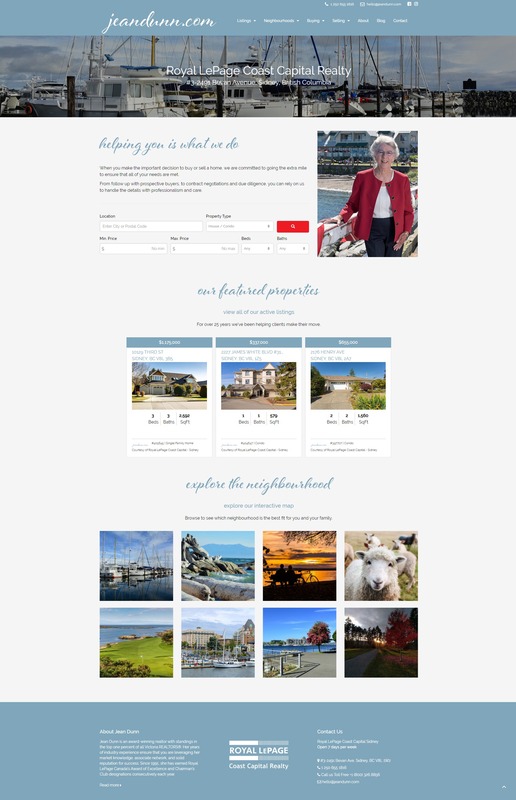 Jean Dunn is an award-winning realtor with standings in the top one percent of all Victoria REALTORS®. 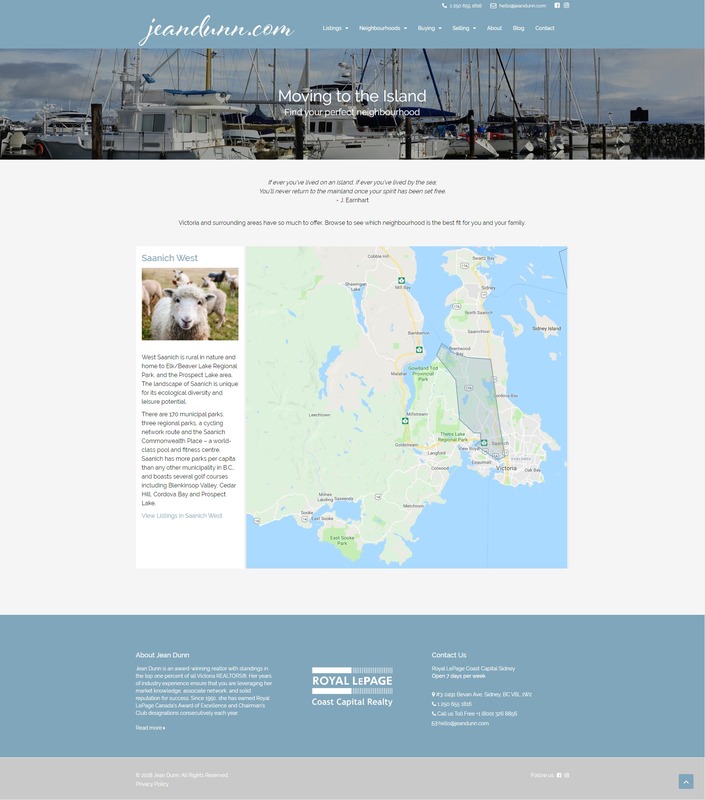 She was looking to create an interactive site that would help her prospective clients choose the right area for them and do their own research, but also something that was easy to manage and administrate. 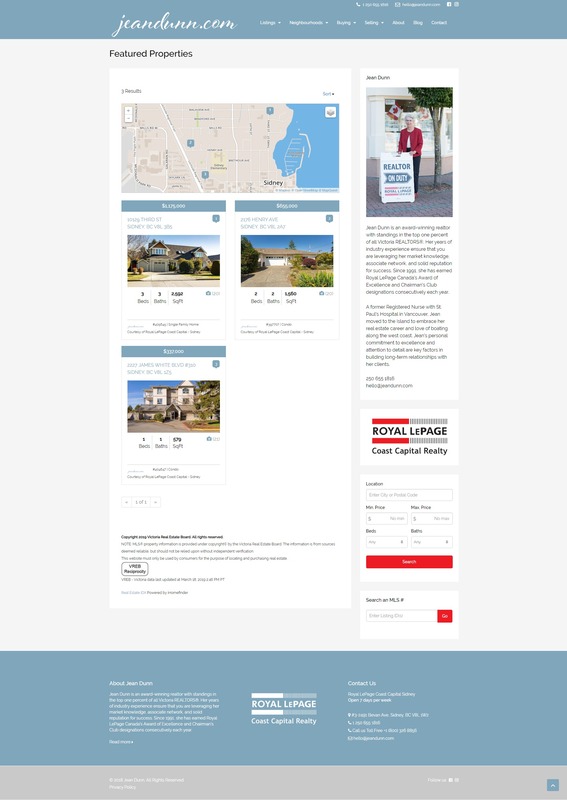 We worked with her marketing staff who were helping her rebrand to create an interactive map to learn about the different regions, sections with advice on how to prepare for buying or selling a home, and an area where you can supply all the info she needs so that she can tell you what your home is worth. 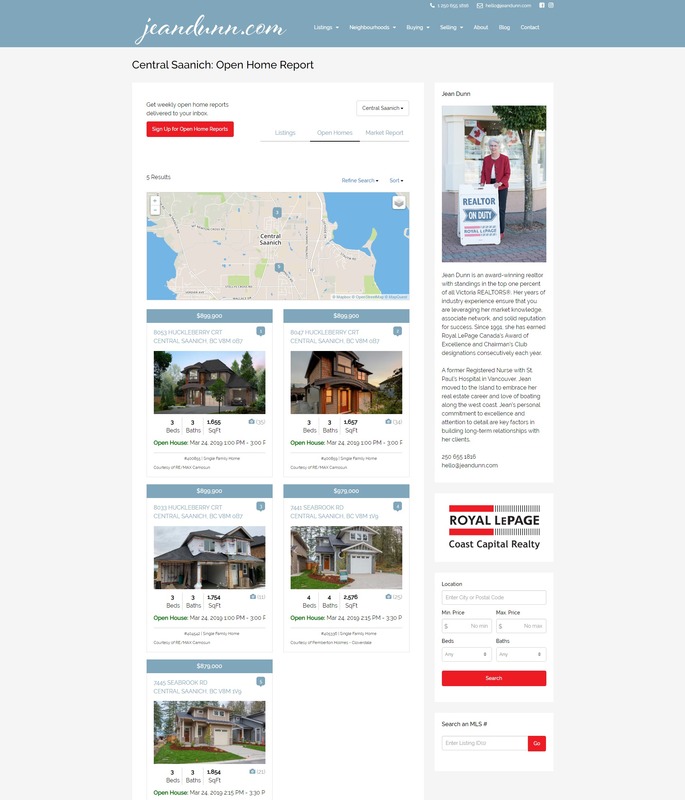 We integrated her site with ihomefinder, which automatically populates the site with the listings in her area but also allows her customers to set up alerts, ask for more information about the listings and for her to track everything to do with her customer interactions via the website. 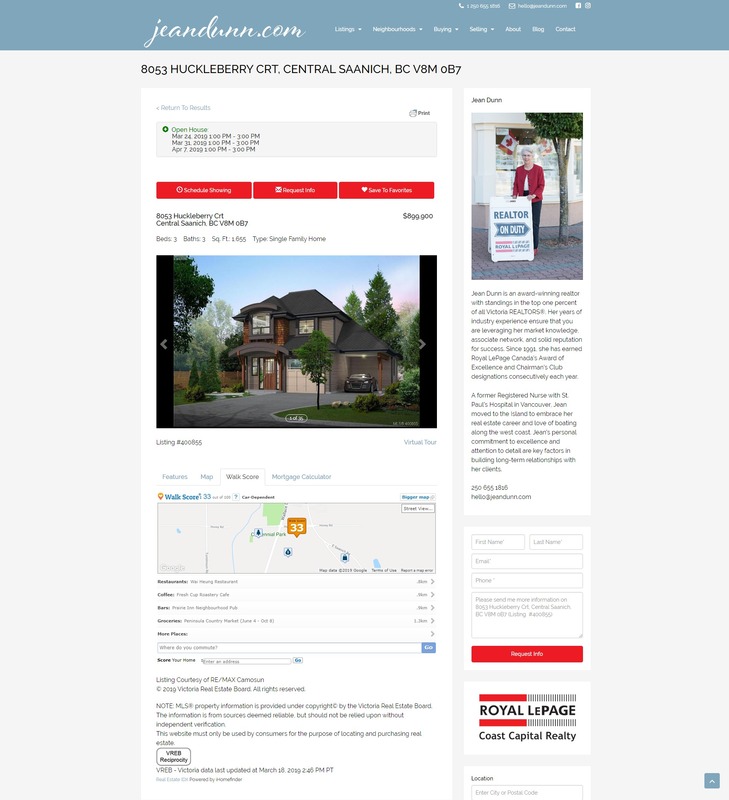 With advanced search options and mapped listings with all the details her site is an excellent resource.